Love how William Shatner also is helping out with the tweeting! He rocks. Keep up the great work fans! 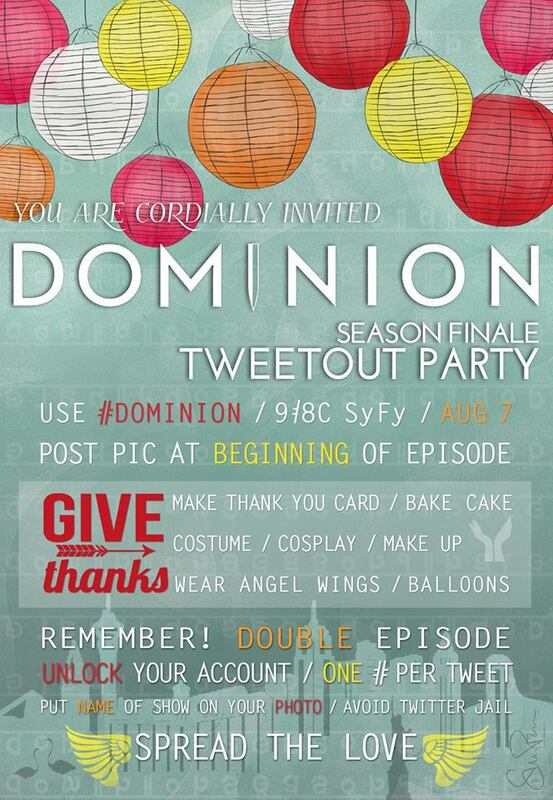 Remember to tweet using the hashtag #Dominion. The show has not yet been renewed! Let’s keep the buzz going and yes get this show renewed! 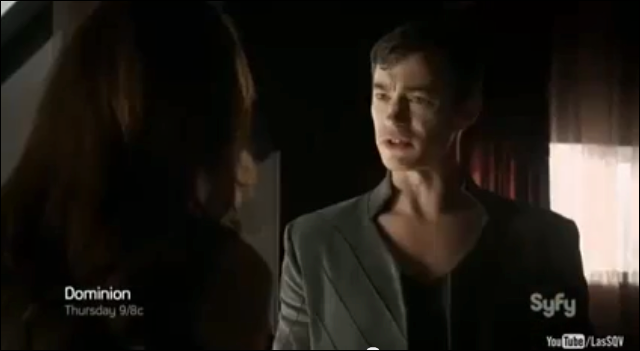 The season one finale for Dominion is tonight! Post a photo at the beginning of the episode of a thank you card or party scene (balloons, cake, angel wings whatever you find festive). 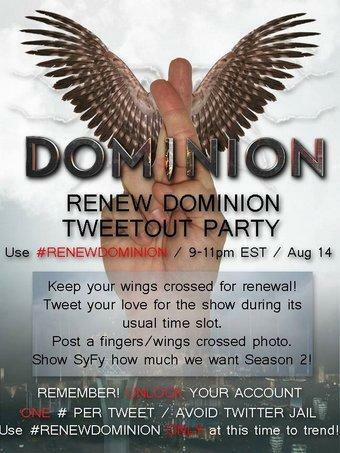 Please tweet using the hashtag #Dominion. 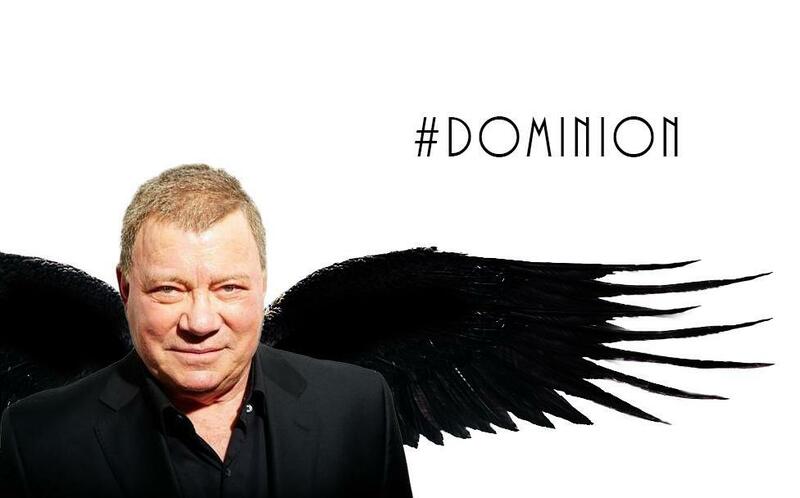 The amazing @WilliamShatner will be joining the cast of Dominion to LIVE TWEET the finale 9:00pm PST (West Coast) tomorrow night! Join us. Huge thanks also to all the Defiance fans who help with the twitter campaign! 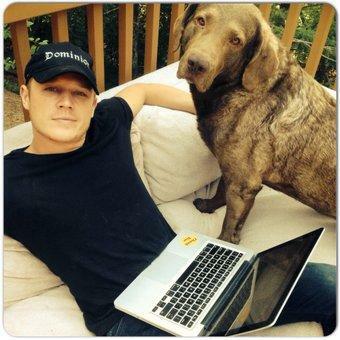 I’ll be watching Defiance as well! (been a big fan since the beginning). It is sad knowing it is the season one finale and no new episodes for a while but keeping fingers, toes crossed that yes the show will be renewed! Next week’s episode will be the season one finale! Keeping fingers and toes crossed that yes the show will be renewed for a second season. Huge thanks to all the fans who did participate in the tweet campaign. 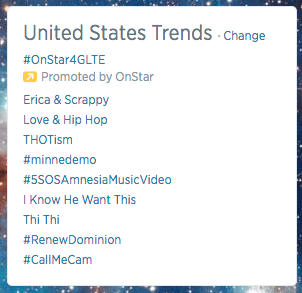 It did help the show trend!